DEVELOPERS buy access in NSW | COMMUNITY ACTION ALLIANCE FOR NSW (CAAN): HOUSING INEQUALITY WITH AUSSIES LOCKED OUT! Craig Stubbs, identified in a public document as Billbergia’s general manager, has donated almost $90,000 to both Labor and Liberal parties in the past three years through his company Bossy Blue Pty Ltd. It would seem the money trail needs to be followed and investigated! RHODES PRECINCT TO COP 75 PER CENT INCREASE IN DWELLINGS! The state government altered plans for a proposed housing development in Sydney’s inner west in ways that would allow a property developer whose general manager has made significant political donations to build at least another 600 apartments and probably many more. The changes to the so-called Rhodes East planned precinct on the Parramatta River were favoured by Liberal Member for Drummoyne John Sidoti, the recipient of at least one of those donations. Under previous plans released by the Department of Planning and Environment in September 2017 following more than a year’s consultation, residents could see proposed building heights encompassing 3600 apartments east of Rhodes railway station. An artist’s impression of the 2017 Rhodes East priority precinct proposal by the NSW government. But changed plans released in December 2018 included no suggested building heights or floor space ratios, while the scheme was expanded to add 600 apartments on land controlled by developer Billbergia west of Rhodes Station. The donations included $4750 to a Drummoyne state election Liberal Party dinner in June 2018. Mr Sidoti said he knew Mr Stubbs, but did not know he worked for Billbergia. The other donations were mostly for federal campaigns, in which developer donations were not prohibited. Developers and land-owners disadvantaged by the December changes, as well as staff at the Canada Bay Council, have pushed back against them. 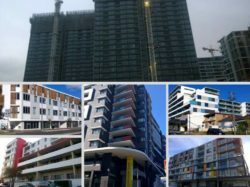 These include Ecove, the company behind the cracked Opal Tower at Olympic Park, Rhodes Investment Group (RIG), which purchased property based on the 2017 plan, and the Royal Freemasons’ Benevolent Institution [RFBI] which owns an aged care home in Rhodes. The RFBI fears the changed plans will jeopardise its ability to upgrade an outdated facility. It is illegal for property developers or “close associates” of developers to make donations in NSW elections. Directors or officers of corporate developers are considered close associates of property developers. Mr Stubbs was a director of Billbergia Finance Corporation between 2011 and 2015. Billbergia says Mr Stubbs is not an officer of the company and donated in his private capacity. “We don’t want to see anybody’s business being damaged by innuendo about these things,” said Rick Graf, a Billbergia director. Mr Graf said the 2018 plan did not favour Billbergia. He said it depended on Billbergia first spending on infrastructure. The 2017 plan proposed high density mixed use and residential apartments east of Rhodes station, with lower building heights heading north toward the Parramatta River, and the retention of industrial sites also to the north. Ecove had purchased a lot east of Rhodes station on which it thought it would be able to build a mixed residential tower. Bobby Chegini, a director of RIG, said his company purchased a site next to Ecove’s after the 2017 exhibition. Frank Price, the chief executive of RFBI, agreed with Ecove that a school could be built on the existing aged care site, while an aged care facility could be incorporated into Ecove’s development at the station. “We were quite excited at the proposal of going closer to the railway station, having a new location where the residents are able to particulate in the day to day life of the community,” Mr Price said. But the December plan zones Ecove and RIG’s land as commercial. Ecove says this would be unviable, as its site does not have large floor plates and car parking levels required in Rhodes. Although the government has not committed to an agreement with Billbergia, the developer has proposed a $360 million “voluntary planning agreement” to help fund an upgraded train station, a new school, and open space. Mr Sidoti said the updated plan was better than the previous proposal because it included more infrastructure.”The last one was never going to stick to 3600 dwellings,” he said. NSW Labor and Liberal said they complied with campaign finance laws. DECEMBER 2017 … THE GREENS CALLED FOR POLITICAL DONATION REFORM AFTER A LOOK AT MINISTER ROBERTS’ DIARY! NSW PLANNING MINISTER, Anthony Roberts met with 53 PROPERTY DEVELOPERS or property interest groups between January and September in 2017, but not a single ordinary resident! SO that if a subsidiary puts in the DA the large-scale developer, builder or commercial contractor is not affected! NSW planning minister Anthony Roberts met with 53 property developers or property interest groups between January and September this year, but not a single ordinary resident, new information released by the Greens shows. Together with large donations being made to political parties by developers, the Greens say it shows the system needs to change, and developer bans tightened. In the last financial year, the Liberal Party, National Party and Labor in NSW received $2.5 million in donations from the property industry. The Greens have released data on donations made to both the federal Liberal party and its state counterparts by developers or lobby groups since 2010, as well as the number of times they’ve met with the planning minister. Since 2010, the data shows Walker Group has donated $475,000 to the federal and NSW Liberal parties, and this year met with the planning minister three times. Meriton (Apartments and Property Services) has donated $226,000 since 2010, and met with the minister four times this year. The Property Council of Australia has donated $65,290 since 2010 and met Mr Roberts once this year (though the PCA decided to ban all donations to governments at all levels from October 2016), while Toga Group donated $93,000 to the federal branch, and also met the minister once. “Property developers are exploiting loopholes in the law to exert political influence,” Mr Shoebridge said. 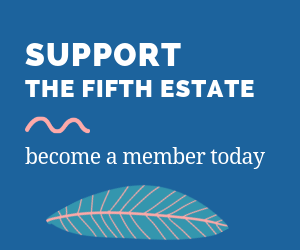 He told The Fifth Estate a loophole involved donations going to the NSW branch of the federally registered party. The donations are unable to be spent on funding state elections, but Mr Shoebridge said they worked to “free up other donations to be spent on state elections”. *The developer ban is also limited to businesses that regularly put in development applications. *“You can be a large-scale builder or commercial contractor, and if your business doesn’t put in the DA, you’re not affected,” Mr Shoebridge said. Mr Shoebridge told The Fifth Estate it was not unusual for NSW planning ministers’ meeting books to be skewed towards developers and other property industry stakeholders. “It’s business as usual for planning ministers in NSW, and has been going on for well over a decade,” he said. The skew may go some way to explain strange decisions like the recent watering down of building products legislation. “That kind of decision that just pops out of nowhere – and on the face of it is contrary to the public interest – can only happen if ministers aren’t meeting with ordinary people. Time to meet the hoi polloi? Mr Shoebridge said it was time for the planning minister to have a more balanced meeting schedule and meet with local residents affected by planning decisions. However, he said this wasn’t seen as controversial by others in the political establishment. “People say, ‘He doesn’t have time to meet with ordinary people.’ They really don’t see a problem with it. People are looking to government to help them. The Greens are also calling for nationally consistent laws around donations. “The obvious first step is to extend the state ban federally,” Mr Shoebridge said. “That would straight away prohibit donations from the likes of Meriton, Toga and Walker Corporation. Mr Shoebridge said there was a “strong argument” to include sectors that are prone to corruption, such as gambling, alcohol, tobacco, and the mining and resources sector. “Australians are sick of the stranglehold donations have on politics,” he said. 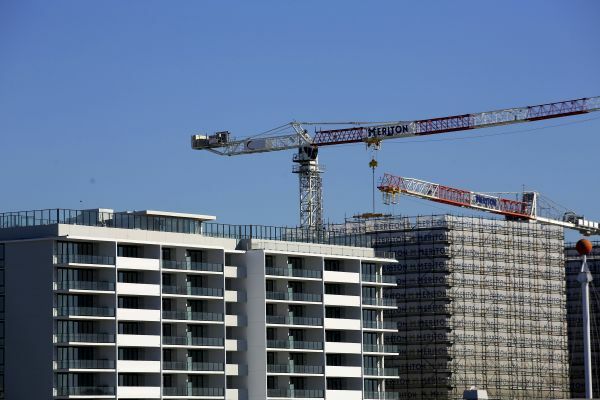 The Queensland government recently announced it would ban developer donations, though the Property Council said all sectors needed to be treated equally. 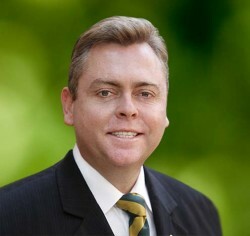 “It is the view of the Property Council that if the threshold test for banning donations is whether or not there could be a perceived link between a political donation and the decision making of government, this perception would exist in relation to political donations made by other business sectors, community groups, environmental groups and unions at both local and state government levels,” PCA Queensland executive director Chris Mountford said. PCA chief executive Ken Morrison said the peak body’s decision to stop donating to political parties was because donations had had “no impact on the success of our advocacy work, which is sustained on the merits of our research and policy activities”. 2012 … THE LUNCHES took place at State Parliament in the months before Mr Roberts released a discussion paper in July on the upcoming overhaul of the HOME BUILDING ACT. Its main recommendation was the winding back of ‘warranty insurance’ which currently protects home owners from shoddy builders. DEVELOPERS each bid $2000 for access to him. A STATE Government minister, Anthony Roberts, hosted lunches at Parliament House with prominent western Sydney property developers who had each bid $2000 for access to him. Property developers have been banned from making political donations in NSW since 2010. The businessmen who wrote cheques at a Liberal Party fund-raiser in April include Vic Cavasinni, the multi-millionaire owner of Cavasinni Constructions and Beechwood Homes, David Masterton of Masterton Homes and Peter Fowler of Fowler Homes, based at Wetherill Park. David Masterton of Masterton Homes with father Jim Masterton in the background. The Liberal Party insisted yesterday that the cheques paid had not been cashed after suspicion that laws around property developer donations would be breached. Nevertheless, the party confirmed that the lunches with Mr Roberts, the Fair Trading Minister, had been auctioned at a fund-raiser, that cheques were accepted and the meetings went ahead. Details of the lunches will be an embarrassment for the Premier, Barry O’Farrell, who has tried to distance his government from the era of commercial sleaze associated with Labor and the property developer fraternity. It will also heap more pressure on Mr Roberts, who was recently rebuked by the Premier who said ”wannabe Joe Tripodis” had no place in his government. Auction … the minister, Anthony Roberts. Mr Roberts is also embroiled in claims he verbally assaulted a female staff member, causing her ”severe psychological trauma”. *His lunches took place at State Parliament in the months before Mr Roberts released a discussion paper in July on the upcoming overhaul of the Home Building Act. Its main recommendation was the winding back of warranty insurance which currently protects home owners from shoddy builders. The reform is seen as a potential boon for the struggling home-construction sector and is supported by builders. Mr Cavasinni, who attended a lunch at Parliament House with Mr Roberts in April, said he had bid on behalf of a friend who wanted to talk about concerns over hidden building costs and bushfire limitations. He told The Sun-Herald he had already had an impromptu meeting with Mr Roberts over coffee at the well-known Smithfield Italian restaurant Candelori’s. Mr O’Farrell’s office refused to comment but a spokesman for Mr Roberts said: ”The minister meets with a range of stakeholders as part of his duties. Community and industry consultation is a key part of the policy formulation process. At all times he has been compliant [with] the relevant legislation.” He declined to comment on what had been discussed at the lunch. The affair began at Candelori’s on April 11 when Mr Roberts was the drawcard at a $850-a-table fund-raiser. According to the invite, money raised would go to the election fund of Mr Rohan, whose electorate office is just doors away from Candelori’s on the Horsley Drive, Smithfield. The lunch was arranged by Mr Rohan’s electorate officer, Zaya Toma, a Fairfield councillor seeking re-election. Property developers cannot contribute a cent to political parties. Under a law passed in 2010, individuals or corporations that ”regularly make planning applications” are banned. Mr Toma said about half the cheques taken on the day had been returned so far. Correction: The original version of this story said that Zaya Toma was Andrew Rohan’s chief of staff. GOOD! Communities are finally bombarding Councils over PRIVATE CERTIFIERS … not too soon! HOWEVER, why not get to the “nitty-gritty”, the core, where all this festered from? And BOMBARD the PLANNING MINISTER’s OFFICE with your all too numerous complaints?? Private certification was introduced in 1998 enabled by the EP&A 1979 followed by a number of amendments, and then with the NSW LNP Government White Paper April 2013 to boost “economic growth” for developers hence this is what Sydneysiders have to contend with now! WHEN really much of this new wave of development ought be pulled apart before completion! Certifiers are rushing to approve developments ahead of swingeing new rules that could smash the cosy relationships between developers and the people who approve their buildings, say Sydney residents. And locals are now bombarding councils with complaints about private certifiers approving allegedly illicit developments before public comments close on the NSW government’s proposals to reform the system. In Hunters Hill, deputy mayor Ross Williams says a large number of residents are railing against new buildings in Gladesville that are having a huge impact on their light and privacy, and compromising a nearby 1860s sandstone heritage cottage. They’ve been fast-tracked under the complying development process, where applications can be determined by a council or private certifier without the need for a full development application. 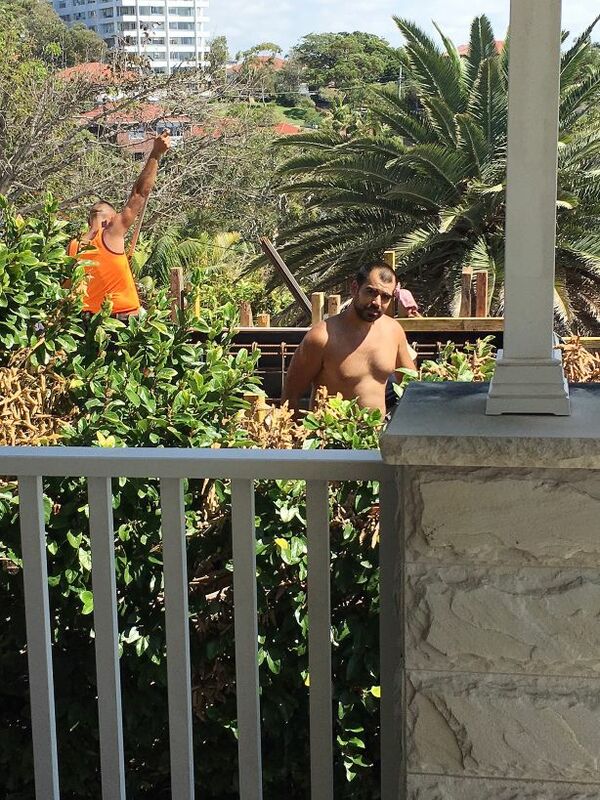 Meanwhile in Manly, neighbours of a new home built with a large platform out the front say a certifier issued an occupation certificate despite a number of conditions being ignored. There, the Northern Beaches Council has commenced enforcement action by issuing a notice of intention to give an order to comply with the development consent. “But will anything really happen now?” asks one of the neighbours affected, University of Sydney School of Medicine lecturer Associate Professor Raf Ghabrial. “Certifiers just don’t adhere to the rules that councils lay down. The view from Raf Ghabrial’s kitchen and dining room window of the development next door. Anger is growing as the cut-off date of October 30 for feedback on suggested reforms to the current building and certification system nears. The government has suggested a different process for appointing certifiers, instead of allowing developers to handpick their own certifier to approve their works. Its options paper explores the possibility of introducing new methods of appointment for private certifiers, by rotating who is available to be used for a specific development, to minimise the opportunities for these certifiers to face pressures that could compromise their ability to act in the public interest. It describes thresholds that, if met, would require one of three options: certifiers selected at random, a list with the appointment of the “next off the rank” certifier, or a limit on the amount of time a certifier could work for the same client. In Gladesville, Matt Fehon is one of a number of protesters against a building that the Hunters Hill council agrees has gone beyond the original development approval. “But then the certifier said everything is in accordance with the complying development certificate and he doesn’t have to worry about privacy and overshadowing, so there’s little anyone can do,” says Mr Fehon. And in Manly, complainants have welcomed the Northern Beaches Council’s first step in action against the development they say doesn’t comply. Another neighbour Jason Halliwell says: “The original development application said the platform couldn’t be built, but it was built anyway. “We made so much noise, the council was forced to do something. But we still don’t know if anything will be done. PRIME MINISTERS sing his praises, property developers beat a path to his historic mansion and powerbrokers complain of “literally” having to kiss his ring. Bishop Antoine-Charbel Tarabay, is the leader of Australia’s Catholic Maronites. One parishioner referred to the Bishop as a cleric with a coterie of wealthy property developers. A former politician referred to a very tangled web between property developers, political movers and shakers and the church. Since the retirement of two Maronite MPs, and with the incarceration of Eddie Obeid the Bishop has been agitating for new Maronite representation at all levels of government. READ more for who’s who in the Maronite property developer sector! Meet Antoine-Charbel Tarabay, the controversial Catholic bishop whose pursuit of power and influence is raising concerns from the corridors of Macquarie Street to the pews of Punchbowl. Since his anointment by Pope Francis as the leader of Australia’s Catholic Maronites in 2013, some parishioners have become increasingly troubled by what they see as Bishop Tarabay’s preoccupation with matters material rather than spiritual. “He does cosy up to developers and the big end of town, but so he should, because they will kick in to help build his church empire,” another said. However, within the bishop’s empire a potential financial scandal is looming. Government-appointed investigators from Ernst & Young are probing hefty payments to nuns made by a Sydney Catholic school, as well as a mysterious multi-million dollar loan extended to the school by the Maronite Sisters. Sources associated with St Maroun’s College at Dulwich Hill have told the Herald they had raised concerns about financial irregularities dating back years. They include allegations of cash payments made by the school to senior church figures, transfers of funds to Lebanon and hundreds of thousands of dollars in fees from international students that were paid in cash but not properly accounted for. A St Maroun’s spokeswoman said “the college’s accounts are independently audited annually and have always returned an unqualified opinion” and that the school was co-operating fully with the current audit. In the first part of a Herald investigation into the Maronite church, its leader Bishop Tarabay emerges as a political player keen on wielding influence and furthering the interests of wealthy figures within his Lebanese Maronite community. Local politicians have told of their surprise when they turned up to lunches at the bishop’s imposing Strathfield residence, only to find their host had placed them next to property developers keen to discuss projects. “It’s in Tarabay’s interest to play matchmaker,” said one former councillor who had attended the lunches. Bishop Tarabay said he did not accept characterisations of himself as a lobbyist or conduit for property developers. A former Canterbury councillor recalled the bishop attending a council meeting several years ago and sitting near Charlie Demian, a property developer who is now embroiled in a corruption inquiry that is examining deals done at the same council. The bishop just loves people who splash the cash. When the Herald separately asked Mr Demian and the bishop as to why they were attending a council meeting together, the pair responded with different recollections of topics to be addressed. Mr Demian, who had owned land next to the church in Punchbowl, recalled Bishop Tarabay attending a discussion about rezoning the future site of an aged-care centre. The bishop, however, remembered attending because a “severe rodent plague” at Mr Demian’s property was troubling a Maronite school next door. Mr Demian was later acting on the board of a Maronite aged-care project when his company won a $7 million contract to help build it. Newspaper proprietor and developer Anwar Harb, a one-time business partner of disgraced former MP Eddie Obeid, confirmed that he had led a delegation of prominent Maronite businessmen to Lebanon, where they lobbied the church patriarch to secure Bishop Tarabay’s ascension to the top job. Mr Harb, a close adviser to the bishop, dismissed talk of any preference for the wealthy. George Ghossayn, the demolition and excavation magnate who gave Obeid a character reference at his sentencing, initially denied donating his black S500 Mercedes to the bishop. He later admitted the bishop had indeed inherited his Mercedes after he upgraded to a Bentley. The bishop had a prime seat at the award ceremony when Sarkis Nassif was named by developers as property person of the year in 2017. The man of the cloth also featured in a celebratory video for Dyldam’s Joe Khattar when he won that gong the previous year. Bishop Tarabay was a co-founder of Dyldam’s main charity vehicle, the GNK Foundation, which is now at risk of losing its registration over failing to submit financial records to the charity watchdog. But while he is still listed as “lifetime patron” on the website, the bishop said he no longer played any role in the charity. Born in 1967 in the north Lebanon village of Tannourine, Bishop Tarabay chose the life of a monk, joining the Lebanese Maronite Order. After serving as principal of St Charbel’s at Punchbowl, he received a dispensation to leave the order and become bishop. He won the post over a more favoured candidate after some international lobbying efforts by the likes of Mr Harb and Mr Khattar from Dyldam developments. “It was like an airtrain,” a former politician said of the convoys of backers making the journey to Beirut. Bishop Tarabay said he had “no direct knowledge” of who visited Lebanon to lobby for him and had not asked anyone to do so. But he certainly has connections in high places. Cardinal George Pell wrote the foreword to his book on bioethics. NSW Premier Gladys Berejiklian recently dined at the bishop’s home. Tony Abbott, as prime minister, knelt before him to kiss a proffered crucifix. And current Prime Minister Scott Morrison accompanied him to Lebanon to celebrate his ordination, meeting his parents and praising in Parliament the sacrifice of “this generous and kind-hearted Sydney bishop”. *But since the retirement of two Maronite MPs and the departure of the now-incarcerated Eddie Obeid, Bishop Tarabay (who featured regularly in Obeid’s diaries) has been agitating for new Maronite representation at all levels of government. “He’s very political, that’s his fixation, and he’s obsessed with getting his people into positions of power,” said one current state member. Political operatives from both sides have spoken of the bishop demanding to be treated deferentially, viewing himself as a kingmaker. The bishop’s recent protege was Gisele Doumet, who travelled to Lebanon in 2016 with senior Labor party figures including NSW Opposition Leader Luke Foley. The tour was organised by Bishop Tarabay, the Herald has been told. The bishop has touted Ms Doumet for several seats, most recently Parramatta, according to several sources. Mr Foley, when challenged on his enthusiastic support for Ms Doumet, has replied that she had the backing of the bishop. “The Maronite Bishop of Australia has made clear to senior figures his support for ­Gisele Doumet,” Mr Foley told News Corp in May. But he was ultimately overruled by head office, despite the suggestion that tens of thousands of Maronite votes would be lost if the bishop’s candidate was not preselected. Ms Doumet said she was not running for preselection in any seat and was not aware of any previous efforts by the bishop to promote her. One parishioner, who was annoyed over the bishop’s attempt to have Labor consider Ms Doumet for Parramatta, said he told the bishop recently: “your role is to nourish the flock – stay out of politics”. Bishop Tarabay rejected suggestions that he had been overly political. “The only Maronite vote I have the ability to direct is my own. However, as an Australian and as a community leader, I consider it appropriate to make representations to political leaders on behalf of the community I lead on matters of social importance,” he said. Meanwhile, Liberal Party figures are assisting the bishop with his dreams of an affordable housing project. Controversial former Bankstown councillor Jim Daniel – found not guilty of a smear campaign against a Labor candidate involving paedophilia allegations – is one director of the church’s Kadishat Housing venture. Also on the board are current Canterbury-Bankstown councillors George Zakhia and Charbel Ishac. When asked about their appointments, the bishop said simply: “they offered their services”. The current ICAC inquiry Operation Dasha has heard that Mr Demian, the property developer, was receiving help from the disgraced former Wagga Wagga MP Daryl Maguire, who promised to link him up with a “mega rich” Chinese funder. Mr Demian also stands accused of receiving favourable outcomes from the former Canterbury council. Last June, he was appointed to the board of St Charbel’s Care Centre Ltd, the company that has received a $2.7 million grant to help build a Maronite church nursing home in Punchbowl. The development site was one that Mr Demian knew well. He had sold it to the church for $2 million in 2010 (Bishop Tarabay’s was one of the signatures on a transfer document) and developed 87 villas on the surrounding property. Not only was Mr Demian on the nursing home’s board of directors, but he also co-owned a company that then won a $7 million contract to help build it. His co-owner in that venture was his lawyer Charbel Azzi, who is now busy defending Mr Demian against tax assessments of more than $35 million. Mr Azzi also has directorships on several Maronite charity boards and said his work on the aged-care construction was also entirely pro bono. Mr Demian quit as a director of the aged-care project and the construction company in May, a month before public hearings at ICAC began. Mr Demian said he left for personal reasons and that there had been no conflict of interest in his firm receiving a construction contract from a board he sat on. “The works contract awarded was based on a stringent tender process to undertake the construction works on a free margin costs basis,” he said. The design firm on the project – employing “traditional Lebanese housing typologies” – belonged to the brothers Marwan and Ziad Chanine, who are being investigated by ICAC over another development approval. Council documents show the contact for the project was Barry Barakat, a banker and property investor who serves as a director of another Maronite nursing home project alongside the bishop. Mr Barakat said all his work was provided pro bono, while the Chanine architecture firm had been chosen for its previous charitable work and “on the basis of their experience and culturally sensitive knowledge for the particular project brief”. ICAC investigators have been looking into a potentially corrupt development decision relating to a project from which Mr Barakat and the Chanine family stood to benefit, as well as the Labor Party fixer Bechara Khouri. Mr Khouri, who has appeared as a witness in three ICAC inquiries, received a retainer of up to $15,000 a month to lobby councillors on behalf of Mr Demian. He also represented the Chanines’ interests. Not being a Maronite himself has not stopped Mr Khouri from making contacts at Maronite church functions. It was at the Our Lady of Lebanon church in Harris Park that he first met Mr Demian, ICAC has heard. The current ICAC inquiry continues and no findings have been found against any person named in this article. Bishop Tarabay, when asked about the appointments of figures to the aged-care project, said “I had no responsibility for this project and was not consulted in relation to any decisions made about the matters raised”. On Monday, part two of the Herald’s investigation into the Maronite church looks at a school under fire for financial irregularities and the rehabilitation centre that never got built. HOW can this rezoning go through before the biocertification process is complete, and without being assessed under the biodiversity conservation act? WHY were the Walker zones rammed though with so many unresolved issues? … Obviously they are happy to pay the fines because in the grand scheme of things it’s a pittance. 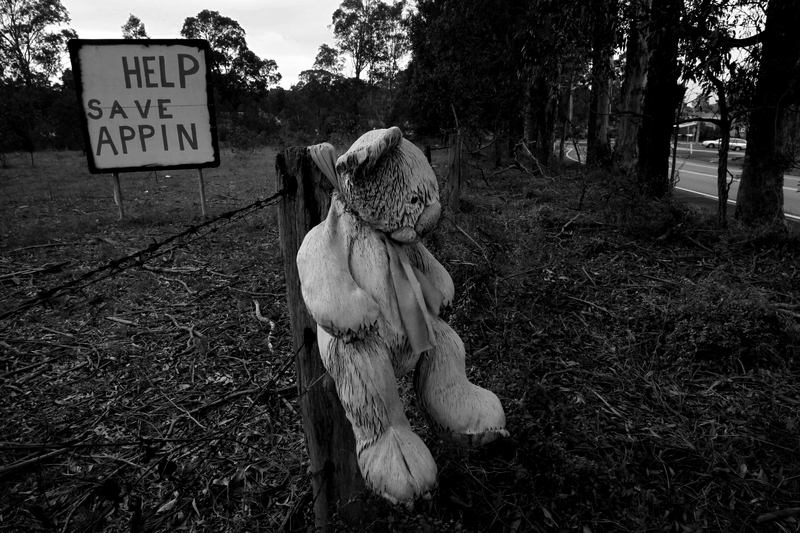 A stuffed Koala hanging from an Appin Road fence post provides a potent metaphor for the colony’s survival . Photograph by Dean Sewell/Oculi. Stand on busy Picton road at the bridge over Allens Creek, near Wilton NSW and you’ll get a picture of what a koala has to deal with to get to its feed trees. The relentless semi-trailer and car traffic barreling through this core koala habitat has resulted in at least twelve koala deaths over the past two years. But that’s nothing compared to what they’re facing when an anticipated 17,000-lot residential development engulfs this rural area. The Department of Planning and Environment (DPE) has designated this as the Wilton Priority Growth Area under its Western City District Plan. Just 80km south west of the Sydney CBD, it’s part of the NSW government’s vote-winning solution to the city’s congestion and housing problem. But it’s coming at a high cost. The Department of Office Environment and Heritage (OEH), the Rural Fire Service (RFS), an independent scientist and the local Wollondilly Council have all weighed in against the existing proposal, saying it goes against long-standing scientific advice and ignores State planning laws. It also threatens the survival of the largest chlamydia-free koala population in NSW. The DPE’s developer, the Sydney-based Walker Corporation has twice been successfully prosecuted for having illegally cleared areas of sensitive koala habitat, earning them the largest such fine in NSW history. That’s just one of a raft of irregularities that have plagued this controversial project. Wollondilly Shire Council has lodged an appeal against the DPE in the Land and Environment Court, saying that the rezoning of land in the Wilton South East Precinct ignores scientific advice from the OEH. Councillor Matthew Deeth goes a step further. Council’s environmental education officer, Damion Stirling has been at the coal-face of this issue. “What triggered this for us was the southeast Wilton rezoning (from rural to residential),” he says. “We weren’t informed (by DPE) when that rezoning dropped, we found out through social media. They’ve (DPE) made reference that council had been consulted, but any submissions made were not adopted. Stirling showed me the roadkill hotspot at Allen’s Creek, in the southeast tip of the proposed development. He says the creek constitutes part of an east-west running corridor that is vital to the survival of these koalas. This was identified as far back as 2005 as a likely primary koala corridor by Professor Rob Close of the University of Western Sydney, with sightings going back into the Nineties. The Wilton area was officially recognised as a primary koala corridor in 2007, by the Department of Environment, Climate Change and Water (DECCW), the precursor of the OEH. An OEH spokesperson has confirmed that core koala habitat and primary movement corridors have been identified within this region. In mid-2016 a pilot study between Appin and Wilton found eight koalas in a week. That was enough information for OEH to fund the Wilton Koala Conservation Project, granted $200,000 from the Saving Our Species fund – the second highest funded project in the state. It’s tracked koalas through the area, specifically along Allen’s Creek, which features a good selection of koala feed trees. Cate Ryan, a long-time WIRES carer, knows the inevitability of koalas seeking food or mates in the vicinity of Picton Road. “They’re trying to disperse to other areas and they’re becoming roadkill. The issue with all the koalas is if they become landlocked they’ve got no escape. There’s no feed for them, so they’re coming out onto the roads and they’re getting killed. If they’ve got no underpasses or overpasses they can’t get to other breeding stock, so they become genetically compromised, because they start inbreeding. We’ve already noticed some conditions – smaller koalas, smaller eyes and irregular eye shapes. Ryan says the biggest fear is that chlamydia-infected koalas from colonies to the south may move towards Wilton for the same reasons, compromising the health of the local koalas. 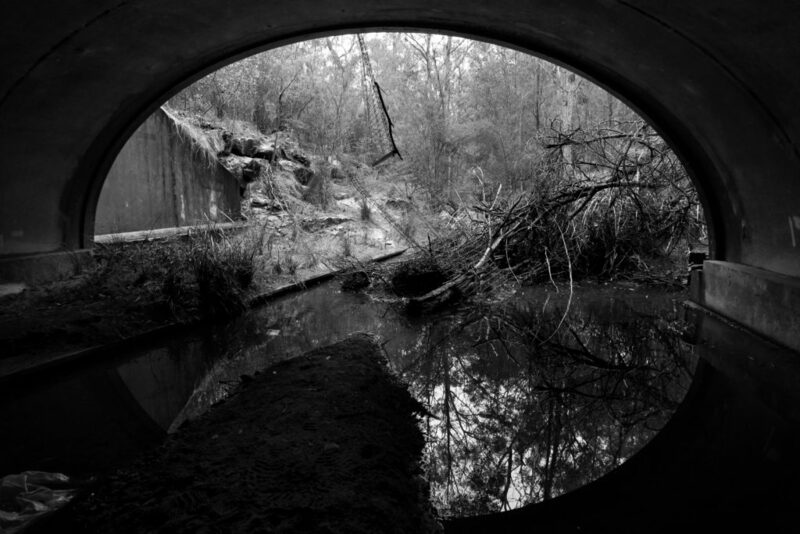 Underneath the highway bridge at Allen’s Creek, Stirling points out a huge culvert that would provide safe access for wandering males and breeding females with back-young, searching for the increasingly rare food trees they need to survive. “It’s one thing to protect koalas from road kill, but we need to be feeding them into quality habitat corridors that will enable their dispersal,” he said. 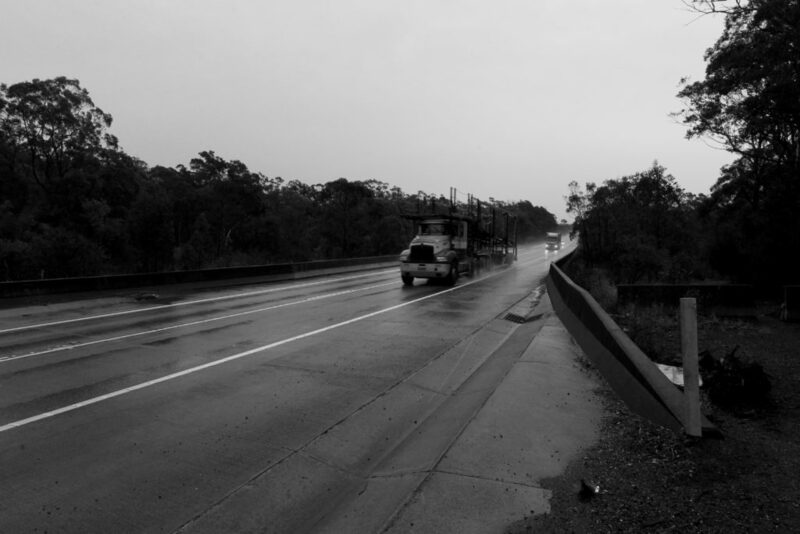 Stirling observes how easily this infrastructure could be adapted to a koala corridor. “Down here you can see the scats and footprints of kangaroos and stuff, so it’s already being used by fauna. But the development planned by DPE favours a corridor bisecting 23 hectares of land, illegally cleared by the Walker Corporation in 2005. 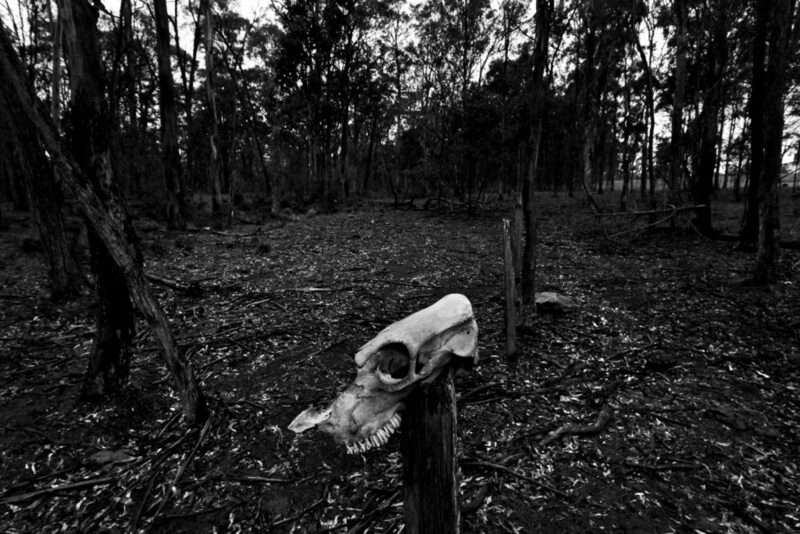 According to Land and Environment Court transcripts they were fined $200,000 for that transgression, at that time one of the largest fines for illegal clearing of vegetation in NSW. In 2011 Walker were fined an additional $80,000 for illegal clearing at Appin, where their current rezoning proposal is. Court transcripts indicate that DPE used the same land clearing contractor for both jobs and that the contractor understood the clearing was in anticipation of a future land rezoning – six years before the DPE’s exhibition period in 2017. Councillor Deeth points out that Walker Corporation’s proposed corridor leads into the Nepean Conservation Area, whose sandstone soils do not support koala feed trees. He says Council is privy to the process followed by OEH, who warned against the DPE proposal. 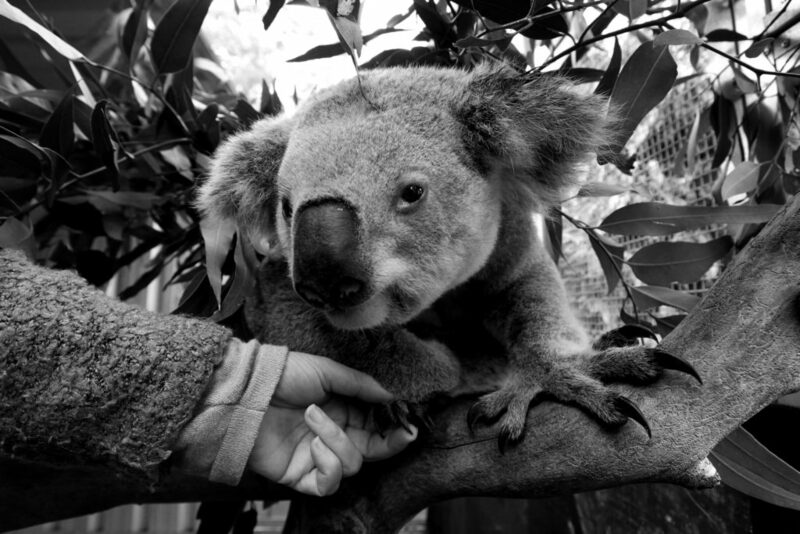 “They gave advice to the DPE that the Allen’s Creek corridor was the best option for the koalas. The DPE has ignored their advice and instead hired an outside team of consultants to give them another result, an act which I believe is unprecedented in this field. The DPE not only ignored their own environmental office’s advice, but appear to be flouting State Environmental Planning Proposal 44 (SEPP 44). 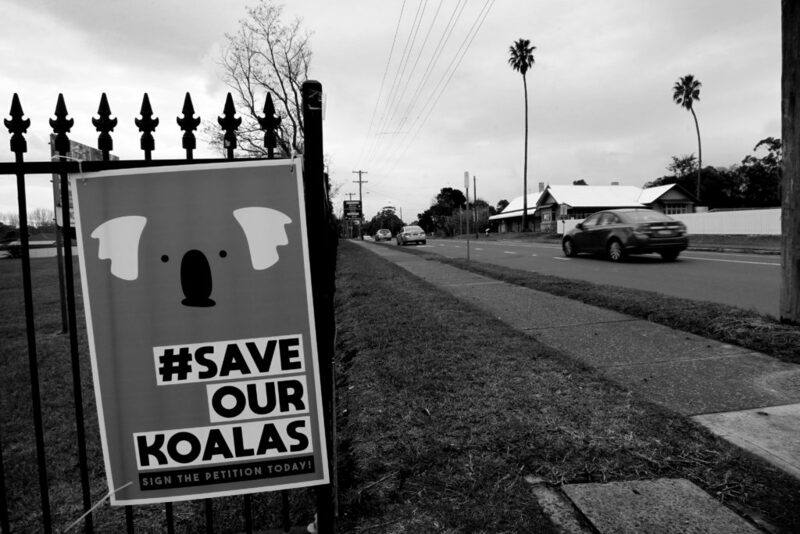 Under that law the DPE is obliged to do a site-specific koala plan and the rezoning of the land should not have happened until a biocertification and vegetation mapping process had been completed. The reason this has not been completed involves a Kafka-esque bureaucratic turn that belongs in the realm of fiction. When the state government’s new Biodiversity Act came into force on 24 August last year, Wollondilly Council received a phone call from DPE, telling them its growth area was exempt from the Act for a further 12 months – until the biocertification process was completed. While the DPE’s rezoning ignores SEPP 44, it also sidelines advice from the Rural Fire Service that the bushland southeast of the proposed development is a major fire risk and would require an exit road bisecting the DPE’s proposed koala corridor. If the reader were to fancy that the DPE has not been taking this process seriously, they should consider that in January 2018, Wollondilly Council received a draft Development Control Plan (DCP) from DPE. Rather than sending a new document, specifically designed to reflect the area’s ecological sensitivities, they instead sent a tracked changes version of Blacktown Growth Area’s DCP. On the last page was a single picture and two sentences about koalas. Apart from this slapdash approach, Stirling claims DPE’s process ignores four key recommendations of the NSW chief scientist’s 2016 report – a crucial direction being that the proponents of development must act on evidence. Indeed, Stirling observes that when he recently looked for submissions over the Wilton Southeast zoning on the DPE website, he discovered that the only documents listed were the developer’s submissions. Stirling says that even the week before the rezoning, he’d been at a round table meeting called by the DPE to discuss conserving koalas in the region. Stirling has a lot of unanswered questions for the DPE. “We’re questioning how can this rezoning go through before the biocertification process is complete, and without being assessed under the biodiversity conservation act? “Why have the DPE proceeded in rezoning this land before that work is finished, on such a significant project? “We’re saying the DPE plan is not appropriate,” he concludes. “It doesn’t even consider that koalas move through the canopies of trees. How are they going to fence the middle of that bushland there to stop the koalas? Councillor Deeth, too, has searching questions. “I understand that OEH scientists were being pressured from above to tone down their reports to the DPE,” he said. “Council had an extraordinary meeting a couple of months ago. Our resolution was to GIPAA the government to get the exact communications, exactly what advice was given and what was the response from the DPE around that issue. My understanding was there was real pressure coming from much higher up the chain and we want to understand how their decisions were made. “Housing at all costs seems to be the department of planning’s motto at the moment. We don’t even know what sort of density we’re looking at within these zones. All we’re suggesting is we want a pause to get this right. There’s nothing wrong with taking a bit more time to actually get it right. You can see from every provision there’s a heap of unresolved issues. “We have no idea why the Walker zones were rammed though with so many unresolved issues. They’re happy to pay the fines because in the grand scheme of things it’s a pittance. Which company paid $7.4M for a major Wilton deal in June 2017? HAS the Catholic Church been an Insider at the “Planning Round Table”? In a strategic move to top up Church coffers after onselling rezoned “Residential Land” at Wilton? The Wilton property has seen capital growth of $15.44 million in 11 years. The Catholic Diocese of Wollongong has paid $17.34 million for a “strategic” 44-hectare site in the Macarthur region, 80 kilometres south west of Sydney, crushing the suburb record in the process. The property at 570 Picton Road, Wilton, which has a five-bedroom house, last sold for $1.9 million in 2006, according to Domain Group data. That same year, the previous price record in Wilton was set by the $8.9-million sale of 15 Janderra Lane to the Walker Corporation, which will be developing the south-east precinct of the Wilton Priority Growth Area. Selling agent Tim Knapp, of Knapp and Associates, said the buyer, who was seeking similar properties within the area, bought the property as an “investment for future growth”. “The purchasers acquire property within areas that they feel will enhance the community,” he said. Although the area has been earmarked as a future growth precinct, the site is still zoned for rural use; the area is tipped to be rezoned after critical infrastructure is delivered. More than 16,000 homes, two primary schools and four childcare centres are part of the building plans in Wilton New Town, which is expected to be the size of Port Macquarie after a 30-year development project. “This is a very exciting time and Sydney needs to implement plans to sustain the population growth in the coming years,” Mr Knapp said. The sale is among multiple recent major deals in Wilton, including a $7.4-million land sale in June 2017, as the small town’s big plans lure investors. “There’s a lot of activity in Wilton and a lot of developers looking around,” Mr Knapp said. The locally based agent added that because of housing shortage in metropolitan Sydney, Wilton was not the only suburb in the region that was growing. “Within the past five years, the government has released large tracts of land for housing in suburbs in the Macarthur region such as Gregory Hills and Oran Park. The median house price in Wilton is $808,400, Domain Group data shows. THE GAME OF MATES is all about developers buying access to politicians to have land sites especially farmlands upzoned for residential. The only reason why the Troutbeck family’s land is worth so much is because the government has rezoned it residential. THE sell-off (FIRB Reg.) of Australian property to wealthy foreign buyers, and with foreign developers competing for Australian land sites this has disadvantaged discriminating against a whole Cohort of Australian first home buyers. Another consequence being the exhaustion of land sites! Back in November, The AFRreported that first-home buyers (FHBs) were desperately fighting for land in Melbourne as the city’s population soars. Then in December, The AFR reported that the median price for a housing lot in Melbourne had hit $318,500 – up 31.5% over past 12 months – driven by the influx of new arrivals into Melbourne. And in June, The AFRreported that Chinese developers have taken a “virtual stranglehold” of Melbourne’s land supply pipeline, “acquiring more than two-thirds of all big greenfield land parcels offered for sale in the past 18 months”, thereby driving-up prices. But now their modest weatherboard home and sprawling dairy farm is up for sale and with a number of developers already eyeing off the property, the Troutbeck brothers are expecting a $50 million payday. Speaking to 7 News, Keith Troutbeck said his dad knew long ago the property was a good investment. The sale, which will close next month, is expected to fetch the brother at least $15 million each, a figure Edward initially thought was a “joke”. When sold, developers are expected to divide the land up into hundreds of residential plots for first homebuyers. The only reason why the Troutbeck family’s land is worth so much is because the government has rezoned it residential. Therefore, it makes policy sense for the government (taxpayer) to capture some of this value uplift. Dr Cameron Murray explains how this could be done in his book, Game of Mates. So in this case, if the property was worth, say, $5 million as agriculture and $50 million as a housing estate, to get approval for the housing estate the developer would have to pay 0.75 x ($50m – $5m) = $33.75 million. They would account for this and subtract it from their payment for the site, so in the case the Troutbeck family would only get $50m – $33.75m = $16.25 million – still a handsome payday for effectively doing nothing. However, $33.75 million dollars that is pure windfall would now flow to the public. 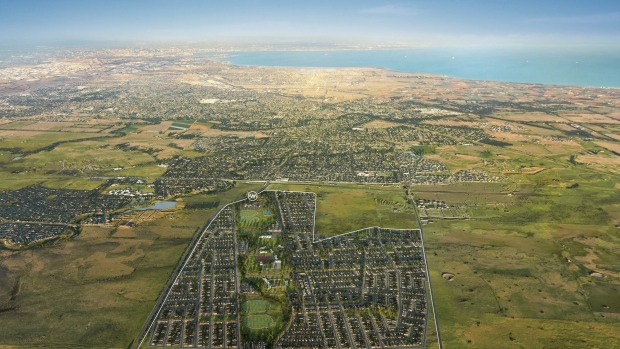 As an ancillary reform, Melbourne’s urban growth boundary (UGB) should also be removed. This would raise competition and contestability in the land market, and prevent landholders like the Troutbeck family from charging monopoly-style rents. A developer would be free to obtain a cheaper site further afield (i.e. across the old UGB), thus ensuring cheaper land values (and lower cost fringe homes). Whatever your perspective, the existing setup is clearly not working effectively, resulting in rapid land cost escalation that is ultimately borne by home buyers and the younger generation, all for the benefit of a few lucky landholders effectively handed monopoly-style rents courtesy of the state government. PLANNING MINISTER Roberts launched the Parramatta office of Bill Pickering’s lobbying firm Hugo Halliday after it vacated its Gazcorp-subsidised Gladesville office. Among “the mates” are the Gazals! GAZCORP, one of Australia’s major multi-sector real estate investment firms. OBVIOUSLY the “affordable housing” concept is being rorted by developers hungry to squeeze extra Floor to Space Ratio (FSR) … extra developer space … storey upon storey! The Colonel, retiring, Ryde mayor Bill Pickering has used the Ryde mayoralty and cited a major development deal hidden from public scrutiny to establish and promote a new housing association he’ll lead as “consulting chief executive”. Pickering resigned from the Liberal Party, along with sidekick, fellow Ryde councillor, Jane Stott, after the pair’s humiliating defeat in a Liberal Party preselection contest. They spat the dummy and are now contesting this Saturday’s Ryde Council’s election central ward as Independents. The Colonel must have seen the writing on the wall, establishing the Housing Supply Association as a “not for profit” company along with its website in late June, but claims the start-up industry body “already has government support”. 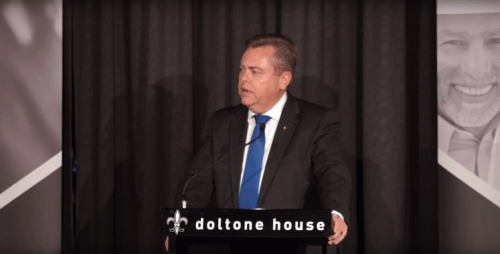 Pickering’s longtime mate, NSW Planning Minister Anthony Roberts has given the HSA legitimacy, delivering a keynote address at its launch before 400 guests in Doltone House in late July, hinting the HSA’s members would have preferential access and a say in planning policy. “We now have for the first time ever a purpose-lead organisation representing industry leaders that are working hand in hand with those seeking affordable housing in government to holistically address the issue of housing supply and affordability,” Roberts told guests. Company and registration records show the new body was only established in late June this year and there is no record of any contact with Roberts about the HSA in quarterly ministerial diary disclosures since he became NSW Planning Minister early this year. The irony of recent comments announcing new legislation stripping councils of powers to approve developments between $6m and $30m in value, must have been lost on Roberts, who declared an “end the dodgy and dirty backroom deals” in local councils. “To the lurk merchants and spivs who inhabit the dark corridors of Council Chambers across Sydney, your trade is done,” Roberts said on his Facebook page. But in the case of his mate Pickering, who has voted numerous times as a Ryde Councillor on matters involving undisclosed interests, Roberts has assisted with more than just a job. Pickering’s lobbying and public relations firm, Hugo Halliday PR & Marketing Pty Ltd, in Parramatta, from where the HSA will be run, will also become its marketing arm and offer its services to members. Numerous articles on its website touting for developer business, including one headed: “Developer? Need assistance with your DA approval or opposing community groups?” have recently been removed. Pickering told launch guests the catalyst for establishing the HSA was a secret voluntary planning agreement (VPA) with developer Holdmark Property Group he claimed provided up to 70 dwellings for key workers. Also at the HSA launch was MP Greg Pearce, who was in 2013 sacked as Finance Minister in the O’Farrell government over a conflict of interest and Tony Abboud, the Ryde real estate agent at the centre of the Civic Centre redevelopment controversy. Pickering said the HSA, to be run from the offices of his lobbying firm, Hugo Halliday PR & Marketing Pty Ltd in Parramatta, “has taken this further” and that he “could influence the situation in Ryde but I wanted to go further”. “What I’ve been able to do with some very like-minded people …. and I thank Holdmark for their participation previously, (is) to extend this noble and proven achievement that we have in Ryde to the state of NSW,” he said. The VPA with Holdmark supposedly involves $146m worth of developer contributions including “affordable housing” at its site in Talavera Road, Macquarie Park, to build more than 1,300 units in a development of up to 52 storeys. But details of the VPA, described by one councillor as “undercooked” have not been publicly released and council’s legal advisors have raised red flags over valuations of developer contributions, the absence of binding guarantees and scheduling of public benefit delivery. “We negotiated an uplift in our floor space ratio which allowed us to build more space to offset the cost of providing the affordable housing,” Gavin Carrier of Holdmark told Seven News Sydney on the day of the launch. Curiously, the Holdmark name did not appear on Seven’s report, which only showed the name “Gavin Carrier” and the title “Developer”. Perhaps that was to avoid further antagonising suffering residents in overdeveloped Meadowbank, where Holdmark tried to reinvent its 10 storey development to a whopping 24 storeys, only to have it blocked in January by the Planning and Assessment commission. Mr Bayni who was approached to chair the organisation said that it was about ensuring more affordable housing … despite the GSC allocating a mere 5 – 10% for affordable housing on rezoned land. The HSA has the ability to intervene on supply … is that because “the supply cannot meet the foreign demand” … hm? The Minister is about ramping up supply .. hence the New Medium Density Housing Code. At a time when the NSW government is under fire on the issue of “over­development”, NSW Planning Minister Anthony Roberts launched a new pro-developers group headed by his friend and former campaign manager Bill Pickering, featuring developers set to benefit from the government’s new “priority precincts”. About six months ago, Mr Roberts launched the Housing Supply Association, whose interim chief executive is the head of PR firm Hugo Halliday, Bill Pickering, who was Ryde mayor at the time. Mr Pickering used to employ one of Mr Roberts’s staffers, Nathaniel Smith, son of former attorney-general Greg Smith, at his PR firm. Also speaking at the launch was Mr Smith’s brother Jerome. The head of the board of the “not for profit” HSA is Ghassy Bayni, a developer and former nightclub owner. Mr Bayni was once described by businessman Rodney Adler as his “eyes and ears” until the pair fell out. Mr Bayni said yesterday he was approached by his lawyers, Madison Marcus — who have two board members on the association — to chair the organisation and that it was about helping ensure there was more affordable housing in developments. He also pointed out that Malcolm Turnbull, in his former life as a merchant banker, could be described as having dealings with Mr Adler. The vice-chairman of the HSA is Joseph Chiha, the head of Showground Corporation, responsible for a planned development causing controversy with local MPs David Elliott and Ray Williams in northwest Sydney. Last month, a new plan was ­issued by the planning department for that site. The creation of the association has raised eyebrows with some of Mr Roberts’s colleagues. Mr Pickering defended it yesterday as an “altruistic” organisation that would not benefit developers. He said the organisation was about making sure there was enough apartments for first-home buyers and essential-­service workers in developments and ensuring government policy settings let that happen. Mr Bayni later said in a statement: “I got involved as I recognised the difficulties young people and key workers have finding affordable housing. I became aware of the association being established through my lawyers. “I welcome the HSA as a new and important voice at the table for housing affordability,” he said. “The HSA have ability to have direct intervention on supply ­issues. “The people in the room here are the ones building homes for families and first-home buyers. This government has a good record on supply and I’m looking to ramp that up. A spokesman for Mr Roberts yesterday denied any conflict over his relationship with Mr Pickering.